On the 18th of April the Prime Minister announced there would be a snap election on Thursday the 8th of June 2017. 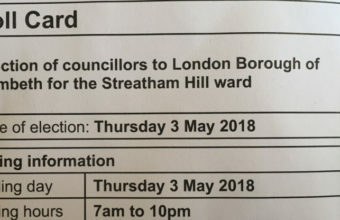 To help you decide who to vote for we have summarised each of Streatham’s candidates. Let us know who get your vote in the comments section below. Chuka is the current Member of Parliament for the Streatham constituency. 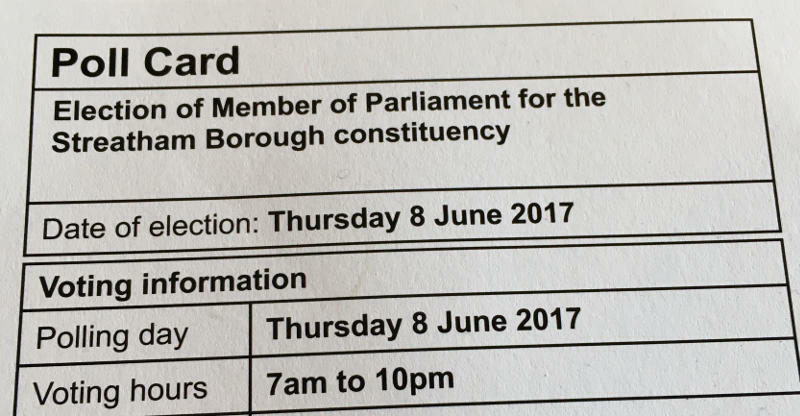 He has been Streatham’s member of parliament since the 2010 general election. Chuka is 39. He grew up in Streatham and went to state schools in Streatham before transferring to a private school in Catford. Chuka has a law degree from Manchester University. He worked as a solicitor for a city law firm for ten years before becoming a politician. In the 2016 EU membership referendum Chuka campaigned for the UK to remain in the EU. In February 2017 he voted in favour of the EU notification of withdrawal bill in the house of commons. He received criticism for this because 78% of Lambeth borough voted to remain in the EU. See how Chuka voted recently in the house of commons. Kim Caddy lives in Streatham on Gleneldon Road. She is currently a councillor on Wandsworth Council. She was an accountant for ten years before becoming a councillor and politician. She ran for Member of Parliament for Streatham in 2015 but was defeated by Chuka. Alex lives on Polworth Road in Streatham. He has lives in Streatham for 34 years. In 2010 he was elected to Lambeth council representing the Streatham Wells ward. 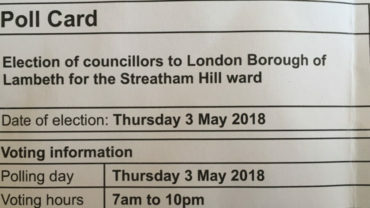 He lost his seat on Lambeth council in the 2014 council elections to Labour candidates. Nicole has been living in Streatham for 14 years. She works as an Art assistant at a school. She is also studying for a Degree from Goldsmiths University in her spare time. Previously she has worked in theatre and run small businesses. Not much information is available about Robert. It isn’t clear how long he has been living in Streatham. In the 2015 General Election he was a UKIP candidate for the Cities of London and Westminster constituency. Before that he worked in IT in the city. There was a 63% turnout. Fill in your details below to subscribe to our monthly Streatham newsletter!